In terms of thelevel of innovative solutions, precision of planning, quality of financial management, time and money expenditures and the amount of personnel involved, a lot of modern film and TV projects are comparable to the construction of large industrial facilities. At the same time, in terms of filming difficulty, wildlife documentaries could be named among the hardest TV programs to make. Despite not having any computer generated visual effects, Hollywood stars and wildly twisted plots, films about wild animals boggle the viewers’ imagination, depicting life in its primal grandeur. But the secret of the popularity of said documentaries can be also explained by the masterful skills of the people behind them. It is thanks to these people that wild animals look as good as professional actors on screen. 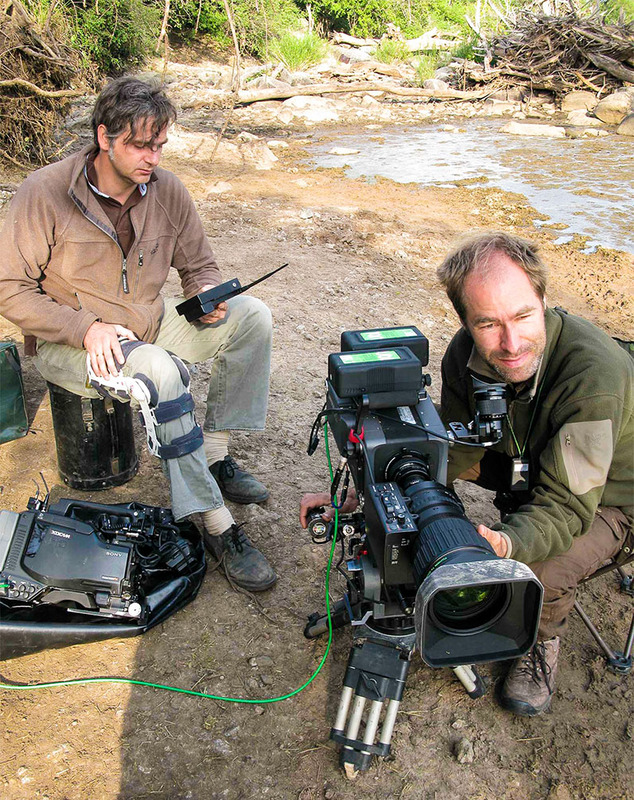 The creation of wildlife films was the subject of our conversation with well-known German director, founder of Hamburg company GULO FILM PRODUCTIONS, Oliver Goetzl. Films and programs made under his supervision can today be seen on many leading TV channels of the world, including BBC, National Geographic, Discovery Channel and Animal Planet. German filmmaker, director and founder of GULO FILM PRODUCTIONS. 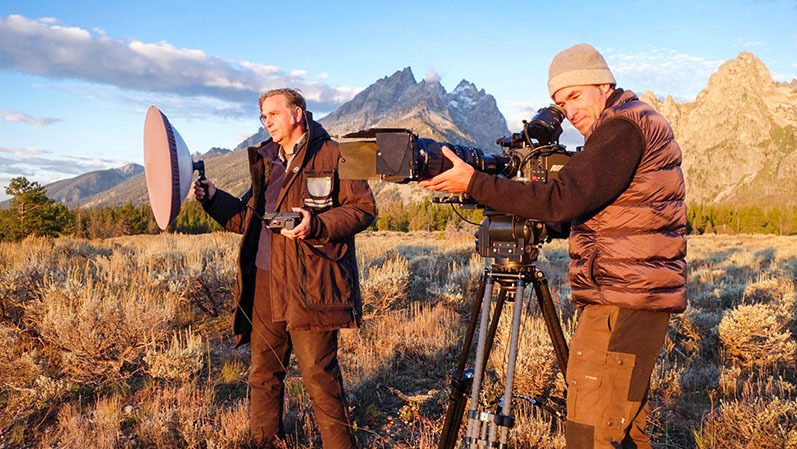 Oliver Goetzl is known for his work on "Yellowstone", "Wild Russia", "Wild Scandinavia" and many others. - Oliver, could you tell us about your production team and how it usually participates in the filming process? Oh, it’s pretty simple. GULO Films’ basic production team consists of only two members – me and my old childhood friend, main cameraman Ivo Nörenberg. We have known each other for 34 years, and that is why we have seamless interaction. I usually have a monitor on my knees to see what Ivo is filming, at the same time I’m able to watch the surroundings to anticipate the forthcoming animal behavior while Ivo is focussed on the focus, framing and panning. Like a prompter in a theatre, I suggest to make a wider shot or a fast close-up – as I am the editor as well I might already have some ideas about what can make the sequence work. Oliver (at the left) и Ivo (at the right). So, I usually write, direct and edit our films, while Ivo is responsible for all the principal photography. All the other people needed for shooting we usually hire on a project basis. Some of them work with us during several projects in a row, while some only cooperate once or twice. But they are always good friends or close acquaintances, because when you travel for filming in the wild, where human feet have rarely treaded before, it is important to work with someone you know personally and someone you completely trust. These must be the kind of people who you are happy to have a drink in a bar with, to spend many nights in a tent with and to sit for hours behind bushes with, waiting for animals to show up. The mutual trust is the key to successful collaboration. Of course, certain conflicts are inevitable but they are always resolved in a calm and peaceful manner because they happen between people who value their relations. The second very important aspect here is that these people must be very enthusiastic about filming wildlife; they must love this work as much as I do. All our projects can be divided into two types. In the first case they are the result of our own ideas and initiatives. We usually select one animal species and make a film or a program fully devoted to that species. Of course, we like to film the animals that have never or rarely been filmed before (for example, our film about the wolverine, which gave us the company name, since gulo gulo is the Latin for ‘wolverine‘) – no one had made a complete documentary on wild wolverines prior to us). Or otherwise we pick a very charismatic animal whose life makes for an interesting story. Besides the wolverine project, we made similar films about Indian sloth bears (remember Baloo from The Jungle Book? ), Arctic wolves and drill monkeys. All these species are very rare and inhabit such extreme environments that few people set out to make films about them. The second type of projects is when a television company hires us to make one or two complete episodes of a wildlife TV program. 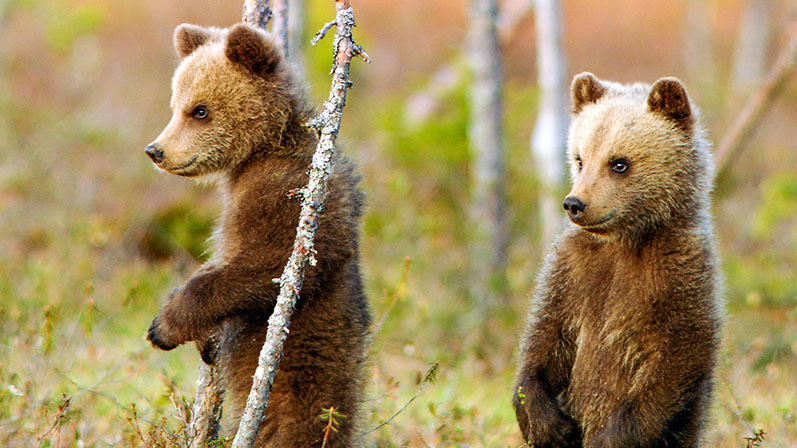 For instance, for the Wild Russia series we did an episode about the Urals, for Wild Scandinavia – episodes on Finland and Sweden, for America’s National Parks – episodes on Yellowstone and Yosemite. Usually several production teams are invited to work for this type of series. Each of them gets its own topic, its own area of filming and its own schedule. But at the same time every production team is relatively independent and they are able to make decisions within their topic on their own. Well, much depends on where exactly we are filming. 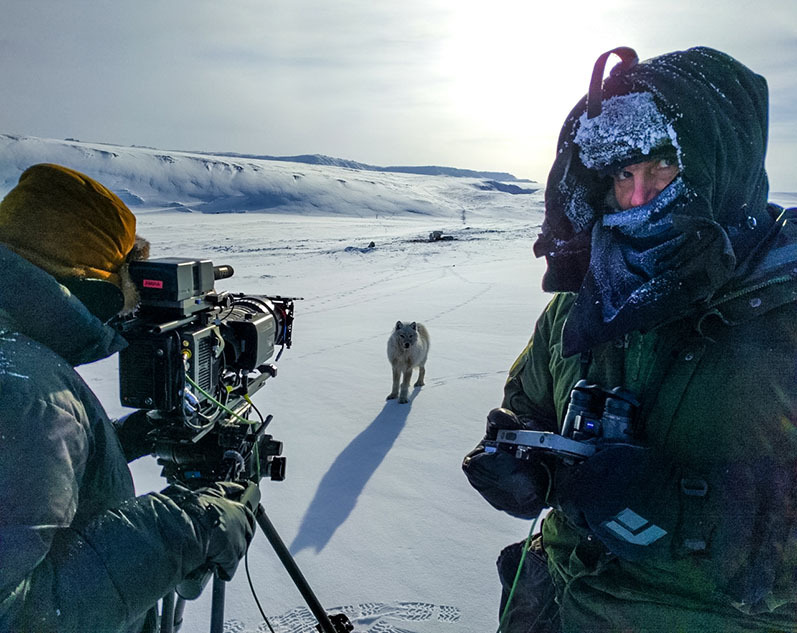 Filming in equatorial jungle is one thing, filming in the Arctic is quite another. But mainly we get to work right in the earliest morning (and during the polar day in the Arctic we wake up in the afternoon to film whole night as there is no darkness) after having a quick meal of a sandwich and a cup of coffee. Routine operations like placing and adjusting our gear take up some of the time, of course, before we finally enter our hide before dawn. And naturally we try to plan our day but when you film in the wild it is impossible to foresee everything. In reality it rarely happens that we are able to strictly follow the schedule. The most time is always spent on just waiting. We often spend 10 to 12 hours quietly sitting in bushes or tents and waiting before an animal shows up at the site. And the most exciting things usually happen at the last moment, when you have almost given up waiting. To tell a good story you need a nontrivial plot – you can’t just show an animal roaming around looking for food and then eating it. That’s boring, and that doesn’t make for a good story. For a good film you need something extraordinary to happen – for instance, you film another animal walking into the frame and its subsequent struggle for territory with the first animal. Now that’s conflict, that’s drama, that’s basically a ready story. But sometimes we have to wait for a very long time for this, which is why the 3 P’s – patience, passion and persistence – are the most important qualities in our job. - If it’s difficult to plan even one day, then how do you usually plan the filming of the whole documentary? It all starts with me writing a treatment on a wildlife topic, and then doing a calculation of the costs and the time frame. Then I send this for approval to our partners (we need at least one TV broadcaster to agree to be able to start, most often it’s our German partner – the NDR public broadcasting company). If the partners agree to the film’s idea and the budget plan, then we start proper research and travel preparations. Sometimes we have to make a recce trip first and film some test footage. And only after seeing it extra partners greenlight the project. This has a positive side to it as well – this recce trip allows us to prepare for the main trip much better and gives us a better overview to start. With the agreed budget we make a detailed plan for at least 2 shooting years. The story is also written in advance but we do that not as much for ourselves as for the broadcaster, to give them some idea of what we are going to film. But what we get as the end result is not always the same as the previously written story. Moreover, in reality the story sometimes turns out much more interesting than on paper. The most important part of the preparation is the research. We have to find out the best places and the best time of the year to film the species as well as find out when we have the highest chance to see an interesting behavior of this species. But even here it’s impossible to accurately predict anything. Often at the site of filming things turn out more complicated than we expected. Sometimes we arrive at the location only to find that the animals left it long ago, and we only see their old signs of activity and former presence. Sometimes the local ‘’experts’’ do not have the sufficient knowledge about the animals or their habitat so we need to find that out by ourselves by trial and error. So these are the unpredictable factors we face all the time. Another problem is getting filming permissions. In some countries this procedure takes a lot of time – sometimes we are already in the country before the permission is issued. Of course, that can cost us valuable shooting days. 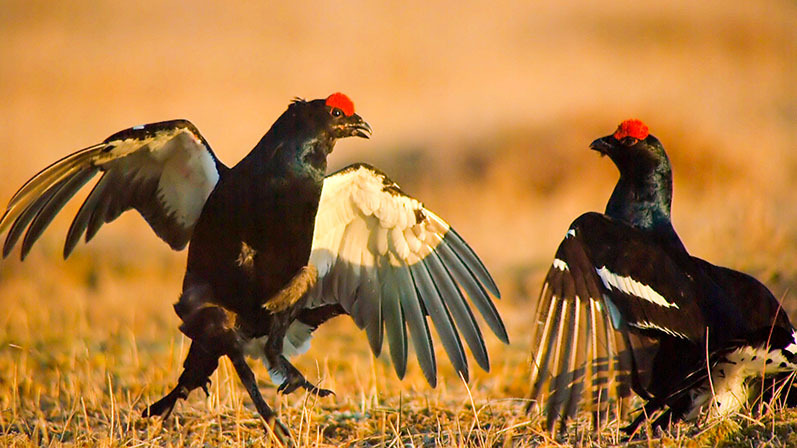 Sometimes these bureaucratic problems would jeopardize our filming completely – for example, bird displays may only last for 2 weeks or so in some cases. The hardest thing is probably trying to predict the time frame of a project. It’s usually at least a year and a half, but on average a project takes 2-3 years. A lot of that time we live in the wild and only sometimes take breaks to come home and spend some time with our families. 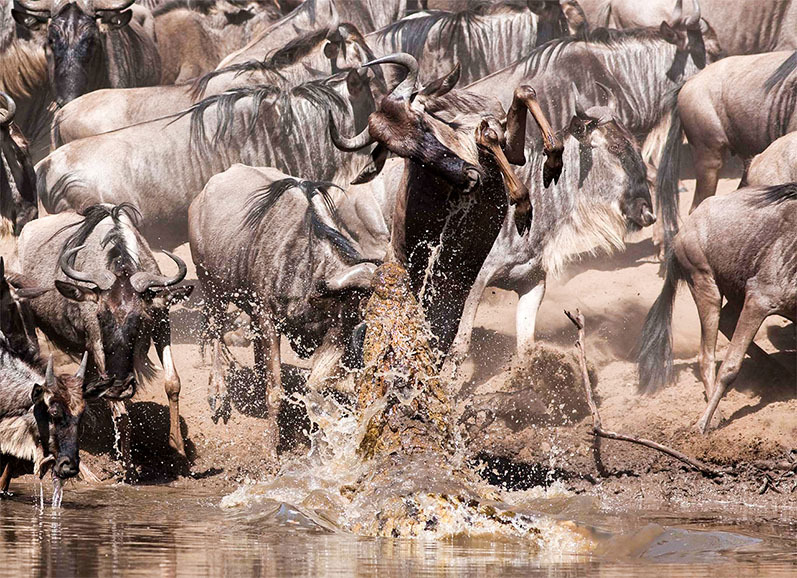 The shooting almost always takes longer than was planned, because pretty much everything is unpredictable – from the weather to the animals’ behavior. It is very difficult to calculate these things in advance. 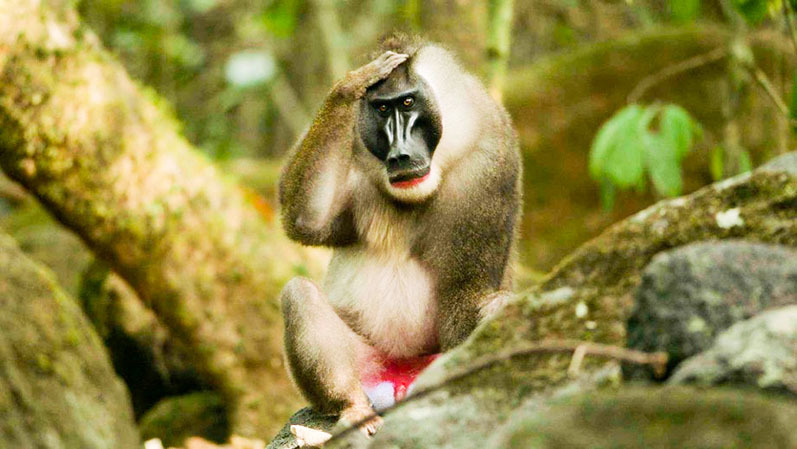 Now we have been working for over a year on two projects at once – one of them is about the monkeys of Bioko Island in Equatorial Guinea, and the other one is about the animals inhabiting the Suswa volcano area in Kenya, as well as the surrounding lava tubes. According to our schedule, both of these documentaries are to come out in the middle of 2018, but how things work out in reality, we will see. Right now we have only one trip left to make for each of these films so it’s very likely that in this case we will manage to get it made in time. 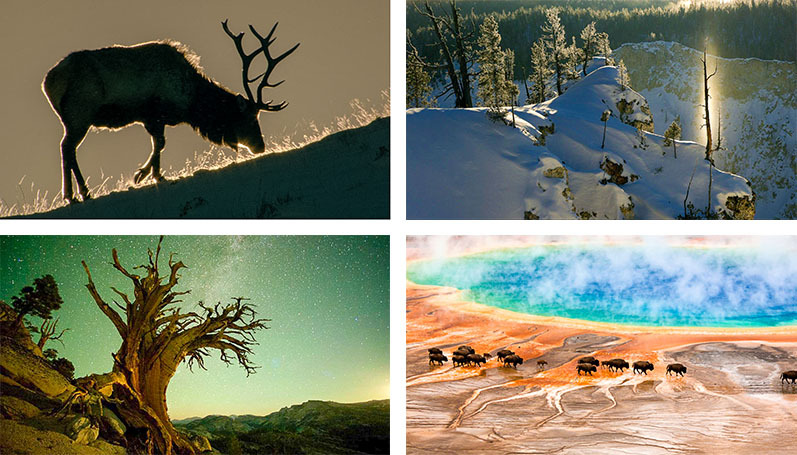 Yellowstone and Yosemite National Parks. - You are speaking about the unpredictability of the animals. However, when watching your films, viewers get the impression that each animal is a professional actor that plays a certain part according to a certain screenplay. How do you manage to organize the filming so that a wild, ferae naturae animal plays its part so well? 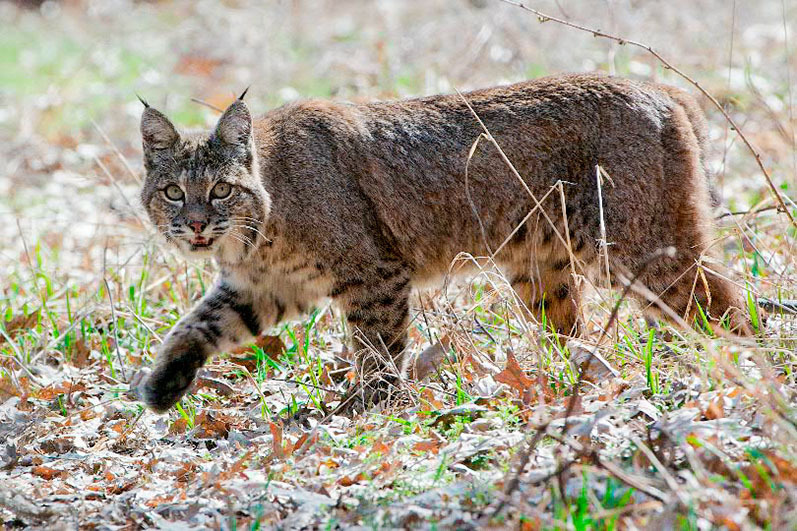 You are right: we only film absolutely wild animals in their natural wild environment. Sometimes we use highly professional remote controlled cameras with wide angle- and respectively zoom- lenses. This allows us to get detailed close-up shots of the animal (from a distance of just 1-2 meters), and that’s how we achieve the effect seen in the film, when you think that the animal is not a wild one, because it’s too close to the camera. And that makes you think: it can’t be wild, the production team probably tamed this animal! But that is not so: the animals barely even suspect that there are people around! Of course, we hide the cameras that shoot them from short distance under rocks, disguise them with grass, etc. But our main storytelling camera is also at a relatively close distance to animals – usually at about 80 meters from them. 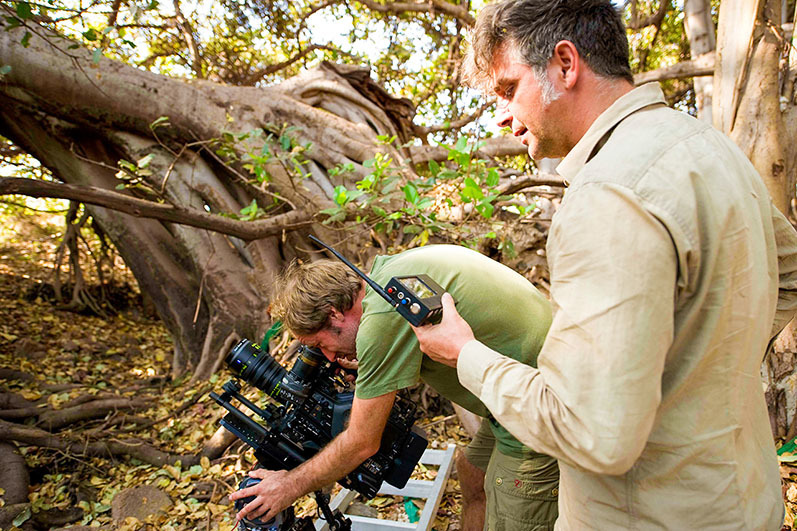 While we sit in a very well-camouflaged hide – most often a tent or a little bamboo hut, if we’re talking about filming in a tropical area. We choose spots where those animals are most likely to show up: carcasses, fruit trees, termite hills, den sites, resting sites... Sometimes we use bait, especially when we are filming rare predatory-scavenging species, such as wolverines in Finland. And the interesting thing is: if the animal has made good experience at that location, after a while it is likely to return to check whether food is there again. And sometimes another animal joins it, and this is when the camera has to be prepared and the cameraman has to be focused because then we get unplanned behavior and interaction of the animals with each other. We see the story unfolding before our eyes. - In order to make a good film, you probably need special equipment, often never before used in cinema or not even invented yet. For instance, Stanley Kubrick, in order to improve the visual quality of his films, used lenses designed as commissioned by NASA for filming the other side of the Moon. Was there anything like that in your work and what modern technological solutions do you actually use? I don’t remember us using equipment specifically designed for our films, but we always customize our gear to our needs. For example, we started working with our remote control system as early as in 2000. Since then this gear has gone through thick and thin, with even its cables having been bitten through by hyenas. And during the years we improved it by modifying it into a highly reliable wireless transmission system which can work at the distance of up to 150 m.
As for the latest technology, I would say drones. We use them mostly in areas where you cannot get the camera in the air by any other means. But I still prefer attaching a Cineflex to a helicopter or simply shooting from a hot air balloon. But, sure, advanced technology is a great asset, today it is irreplaceable. We own a super slow-motion camera that can do up to 2000 frames per second. We also use a Canon 50 – 1000 mm zoom lens, as well as highly light-sensitive lenses (for low light topics such as shooting in a thick jungle) and also use infrared and thermal cameras. - And what is usually the most expensive part of the shooting? Is it the equipment, the labor costs of your production staff, the transportation expenses? The only thing that can be more expensive than the equipment is transporting this equipment, because it can often be quite massive. 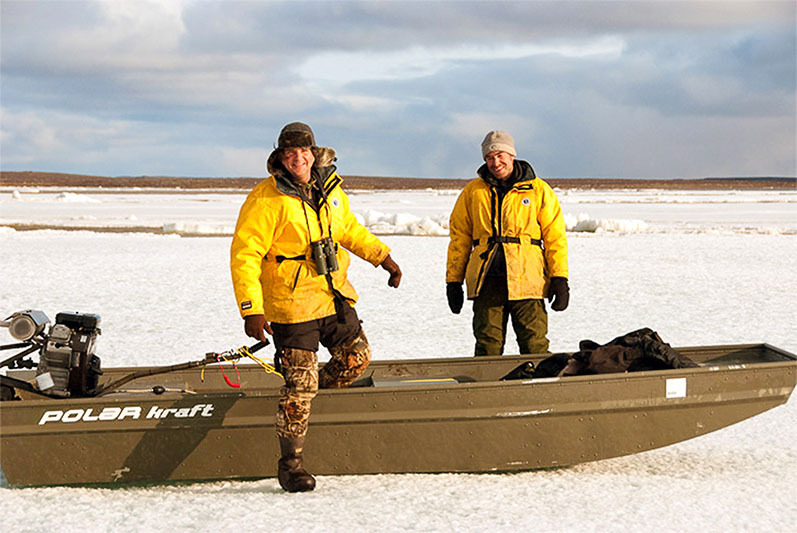 Especially in most remote locations like the high Arctic, the most expensive part is logistics and transportation. But filming wild nature is not a cheap thing in general. You have to pay for the gear, the plane tickets, renting helicopters, custom charges, filming permissions, foodstuffs, etc. - What difficulties do you often face while filming? The biggest problem is that hunting wild animals is still practiced in many countries (including, unfortunately, Russia). You won’t believe how differently animals act in the areas where they are hunted: they become very apprehensive and skittish and, as a result, it is way harder to film them. Their behavior becomes unnatural and indistinct which of course interferes with what we want to show. The other major difficulty that I have already mentioned is the bureaucratic delays. And surely sometimes we experience financial problems too. But in this respect we have been very lucky, because when we just started with GULO Film and set out to make our first documentary (that one about wolverines that I mentioned) the TV people trusted us and allocated a solid budget for us. The shooting was very difficult: we spent not only the money given to us but also the money we had to borrow from our friends and even some strangers to be able to buy all that necessary HD equipment and to spend many months at the Finnish/Russian border. By the end of the shoot our debt was about 80,000 euro. But in the end this risk was worth it: the film was successful and it became the first ever documentary on wild wolverines at all. We were able to return the financial expenditures due to getting immediate follow-up jobs. Now, when our company is pretty well-known in our field, it became much easier to talk to the potential investors. 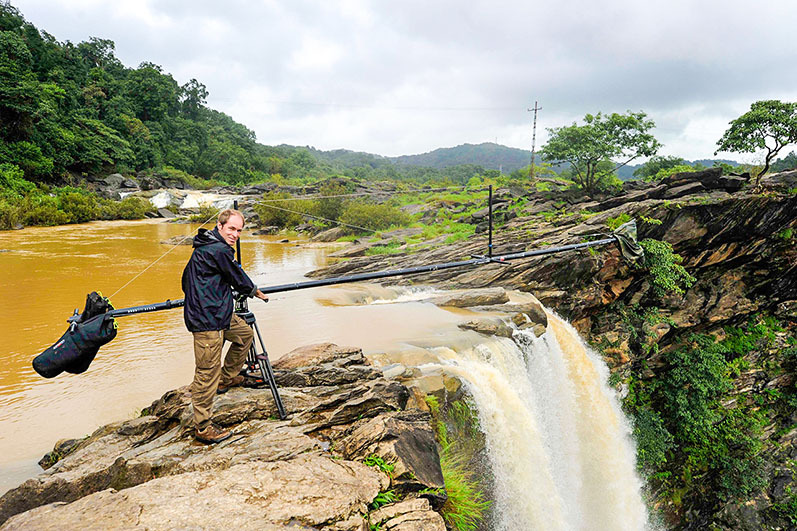 - Apparently, to achieve maximum authenticity in a documentary series about wild nature you need to hire science advisors – biologists, environmentalists, zoologists, ornithologists. But how important this scientific knowledge is for the rest of the production team – directors, photographers, editors, producers? I am a zoologist myself but to be honest I don’t think that to make wildlife documentaries you absolutely need to have education in biology or zoology. In my opinion it is much more important to have a keen passion for this job, a love for wild nature and animals. As for the essential knowledge required for this work, it can be gained from experience, I think. Moreover, 90% of everything I know about wild nature and wild animals I have learned from my experience of working with them and not from the university. And, believe me: animals very often behave differently from what you can read in science books, sometimes even contrary to that! It is astonishing how inconceivable nature still is, how many things we can still learn about it if we look close enough. Two years ago we saw a female wolf that died of starvation but protected and nursed the wolf cubs that belonged to a different mother. These stories are inspirational, you understand that animals often behave in a more conscious and responsible manner than some people do. In certain situations they are capable of doing things that contradict their instincts or at least what we know of these instincts. - You have accumulated a vast experience in your field. Is nature still capable of surprising you? Oh yes, nature is always unpredictable and it always surprises. I already said that all the things we do are not easy to plan and forecast. But, strange as it may seem, sometimes intuition helps, or something you’d call the sixth sense. For example, at the end of our last trip to the jungle of Equatorial Guinea, when half of the equipment had already been moved out and half of the crew had already left the field and even Ivo was already in the country’s capital and started to repack the fragile gear for our flight back home - at that very last moment I felt that I must stay there for a couple of days more. I could not explain why, as so far we had not had much success during the whole trip with those shy drill monkeys, and the rain season was rolling in, too. But just something inside me told me that I must do exactly that. So I let most of the group go home and it was only me and our second cameraman Justin left. And you won’t believe it, but during these extra two days we filmed our best footage of the whole film project! The rare and barely known drill monkeys were joined together in a supergroup at a fruiting and throne-like gigantic king tree in the middle of the jungle and showed behavior which has never been seen before. It was an unbelievable sight. - What goals are you trying to achieve when making wildlife documentaries? And what do you think is the social importance of your work in general? What will the viewers get out of watching these films? In what ways do you think they can influence people to change? I think that our goals are mostly educational. But not in the meaning that we usually associate with the word ‘education’. I actually just want to show people that we have all that on our planet. And let everyone make their own conclusions. We never actually «shake a finger» at anyone and we never try to directly address environmental problems or anything like that or to urge people to do anything. But on the TV broadcaster’s Facebook pages people often leave comments like «Hey, I saw the documentary and was astonished by the amazing animals living right next to us and by all this beautiful wild nature! We need to preserve all this!“ or «These Wolves are so strong and are a part of the Arctic; we must always protect them. Beautiful animals. Thank you for this video“ or sometimes even more precise comments: “Right now the Québec government is thinking of opening a hunting season for the timber wolves in Québec’s Northernmost regions to promote hunting tourism there. Can we please stop this massacre from happening?“ And when we receive feedback like this I understand that probably it is not in vain that we sit behind the bushes for years on end, and that we have probably done not bad of a job if our work has sunk into someone’s heart. It is also important that our films and programs are shown on TV during the prime time. And that’s a good thing that they don’t push the wildlife programs for after midnight so they are available for everyone to watch. - How did the constant work with animals and wild nature influence your views and your life? Of course, that influenced me more than anything else in my life. Firstly, my work allowed me to see the poor state wild nature is in today. There are very few places left that are untouched by humans. In fact we’re talking about several small islands of unspoilt nature amidst an ocean of civilization. And we have to search for these islands so that we can film animals who would behave naturally in their natural habitat. But around these wildlife spots we often see waste dumps, contaminated rivers, lots of rubbish, toxic soils and waters. And secondly, at some point I understood that I can’t work solely for money. This job is cruel to my family life because of my long (and regular) absence from home: when I come back home from shooting I am usually so tired that at first I don’t even have enough strength to spend time with my family or to talk properly to my daughters. But I come back home happy and satisfied. If I did all that purely for money, I probably would be able to work much less: I would just travel somewhere, film something the broadcaster wants, then receive my fee and that would be it. But in that case I would have to leave my beloved family on a regular basis too. And as I have to do that anyway in my kind of profession, I realized that I can only do that for a project whose result I can be absolutely satisfied with. And, as a consequence, that means having to work hard in the field and stay out for a long time in the wild, because only time in the field can bring a good result. For me it is important to follow my work through, to do it properly, to film exactly what I want to film and get what I want to get. I’m okay with spending three months filming instead of three weeks as long as I get the footage I need and make the kind of film that I won’t be ashamed of.